Tony Cliff's recognition in his own moment of a certain kind of impasse within Trotskyism and his attempt to overcome it require full consideration and appreciation both in terms of the merits of its potential and a consciousness of its limits. A panel on the legacy of Tony Cliff opened the discussion at the Sixth Annual Platypus International Convention held in Chicago on April 4th, 2014. What follows are the opening remarks by English journalist and author James Heartfield. LET ME START BY SAYING how grateful I am to be invited here today. I've been a keen watcher and reader of Platypus. It is really useful that we look critically at the thinking and reasoning of the Left because if the Left doesn't become self-reflective, it won't have any importance whatsoever. In my comments on the International Socialist Group, which was founded by Tony Cliff and a few others, I want to say roughly this: the best way to understand the intellectual development of Tony Cliff and of the International Socialist Group is to see it in context. Tony Cliff was very interested in an argument about socialist organization derived from something Lenin said in the early 20th century. In the pamphlet What is to Be Done? Lenin “bent the stick,” as Tony Cliff used to say, and very forcefully made the point that the spontaneous consciousness of the working class would not go beyond trade-union consciousness and that political, theoretical reflection upon that would necessarily be, as Lenin wrote in the pamplet, "introduced from the outside.” That argument of Lenin’s was anathema to Tony Cliff and a point he criticized; he criticized it in a 1959 book he wrote about Rosa Luxembourg and in a 1960 pamphlet on Trotsky called Party and Class. Now this is the core of the argument. What Lenin is doing is very old-fashioned in philosophical terms in that his argument is derived from an Enlightenment view. He's saying that in essence there is a distinction to be made between higher thought and opinion, between rational or reflective thought and immediate or natural thinking. That distinction would be commonplace amongst Enlightenment thinkers like Hegel or Locke; it would be easily understood by them. Did it have the sectarian implication that Cliff saw in it? I suggest not. Lenin, like Hegel, understood that when he talked about higher thought or reflective thought or theoretical reflection, and distinguished it from the merely spontaneous reflections of people in their activity, he understood that essentially they were the same—they were the same stuff, the same substance. That reflection, that theoretical thinking, was not separate and apart wholly—it was not an absolute distinction—but it was of the same material. It was a distillation of experience, but that distillation was not something that could happen unbidden. That was the very point: it could only come about through organization; it would have to be reflected through organization. Hegel’s distinction between rational thought and experience is a point of view that has been largely rejected in the 20th century. In the 20th century, philosophers like Merleau-Ponty and Husserl resisted the idea that there is a differentiation between rational thought and experience and they've tried to bracket the question to one side. They've insisted on the commonality of spontaneous thinking and reasoning and resisted the differentiation—and that was very much in the mood of the 20th century. In all its cultural aspects, the 20th century has looked for spontaneity. That is why we like Charlie Parker rather than a written score. It is why, as I remember as a child, the hippies had painted in big letters the slogan on a gable end in Ladbroke Grove, that “the tigers of wrath are wiser than the horses of instruction.” The words are William Blake’s, against Jonathan Swift. It is a very sixties mentality to say that spontaneity and emotion are what you can trust whereas reason and reflection are a trap—something that is cold, distant, and that loses sight of the truth. In essence, that was the core of Cliff's particular contribution to theoretical development. 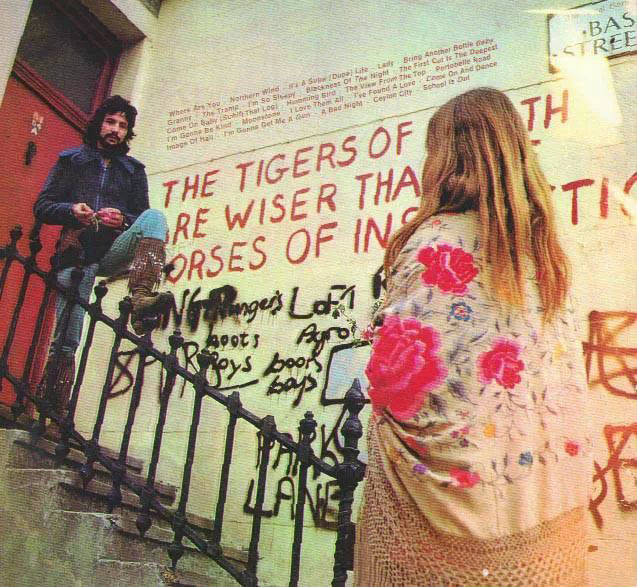 Cat Stevens photographed by the William Blake graffiti "The tigers of wrath are wiser than the horses of instruction" on the corner of Lancaster Road and Basing Street in London (1970). Many people at the time understood that the whole point about Cliff's work was that it was very activist—it was around activism, like the very successful Anti-Nazi-League campaign—whereas the theoretical stuff was a bit less important. More recently, the Socialist Workers Party (what the International Socialist Group became) was very successful, again, in the Stop the War campaign because it inserted itself very pointedly within a rising tide of movement and reflected those feelings that were being expressed in the largely spontaneous rejection of the war campaign that George Bush and Tony Blair were implicated in. Now that's all very good, and if we understand that, we can understand why the tendency was relatively lively. It had a big impact. That said, I want to be a little bit cautious because, to be realistic, I don't think the Socialist Workers Party in Britain ever had any weight in terms of a real determinative character. It never actually changed the course of history at any point. It was mostly influential amongst intellectuals and it has had an impact on the life of letters. It did rather elegantly summate moods at certain points because that was the raison d'être. The downside, the limitation, was that there was a fairly profound anti-theoretical trajectory in the way that they worked. This is not to say that there weren't theories. Theories were worked up, like the ‘Permanent Arms Economy’ or that Russia was state capitalist or that the Permanent Revolution had been deflected in the Third World and that this was the foundation of Third World nationalist movements. I think these are all essentially pragmatic, post-festum constructions to describe a problem. The problem was one that the Trotskyists had inherited from Trotsky: a catastrophist understanding of the economy, which told them that the economy would be getting worse and worse in the 1950's and 1960's—which simply wasn't true. So, post-festum, the theory that arms spending—the Permanent Arms Economy—had overcome the crisis was worked up. It's eccentric, really, to say that the arms expenditure was the cause of the restoration of capitalism and to say, 20 years later, that arms expenditure was the cause of the collapse of the economy in the 1980's. The people who coined this theory weren't really thinking about the fact that they were overthrowing a basic proposition of Marx's—in whose theoretical work they were situating themselves—which is that ‘the barrier to capital accumulation is capital itself.' It's not something outside, like arms expenditure; that could only be an epiphenomenal effect. Similarly, the Trotskyists were saddled with the unpopularity of the Soviet Union. To call the USSR ‘capitalist’ was a way of side-stepping the problem: ‘Yes, we hate the Soviet Union too, because it is capitalist.' Third World nationalist revolutions were a problem for the Trotskyists because they seemed to disprove the argument that this was an era of permanent revolution, not one of national liberation. To say that the permanent revolution had been ‘deflected’ into a national revolution was just a way of squaring the circle, not a theory as such. To insist upon the situatatedness of the development of the International Socialist group and the Socialist Workers Party afterwards, I would like to say that at key points they were lifted by events (like the trade union militancy of the 1970's) and then, when those movements moved on, they fell. This was a kind of classic problem that they were in. In the 1970's, the structure or the rhythm of the class conflict that was emerging and becoming quite intense was that full-time trade union officials were clashing with their rank-and-file because the rank-and-file members were basically frustrated with the slow rate of progress and angry at the fixation of the full-time officials on securing their own position as over and above the rights of workers. The Trotskyists in the International Socialist group competed with the members of the Communist Party in Britain for authority amongst the rank-and-file. It was a good pitch; it was a way of presenting what their particular aims were. Because the rank-and-file revolt of the 1970's, astonishing as it was, merely rose to a crescendo and then fell back, the situation of the most militant groups amongst British organized labor changed with it. As they became on the defensive, they rallied to the trade union officers like the great hero of the National Union of Mineworkers, Arthur Scargill. It was quite astonishing to be in that conflict. Arthur Scargill had failed to win his members across the mines to a position of taking action against pit closures. Scargill was in a peculiar position: he knew his most militant activists were strongly in favor of strike action, but they were deeply divided from the grassroots membership who were pulling away from the militancy of the 1970's. The militants wanted action but they could not carry the mass of the membership forward. That was why, when the strike did break out in the pits, it was not done through trade union democracy but through picket action. One pit took action—it picketed out the other pits. Miners are keenly opposed, in principle, to crossing a picket line, which meant that it was very effective system for bringing the miners out, pit by pit. The problem was that, throughout the entire dispute—and the dispute lasted a year, and was one of the bitterest of all—the union itself was divided. It was essentially divided between the militant activists and the less militant members—particularly the less militant members in Nottingham—who were not convinced of the need to go ahead. That was a tragic position to be in, and a reverse of the position that the IS expressed in the 1970's. It was a reverse because the IS had adopted the position of the most militant section within the union but the most militant section were themselves running scared of the rank-and-file. The rank-and-file were the very people who were not trusted in the organization of the strike. The strike failed because they could not secure their own members to fight for strike action. Throughout this long year, when they should have been going out and getting other people to support them, they were instead defending their position. Throughout that whole period, the Socialist Workers Party supported the position that there should be no ballot. Think about that! 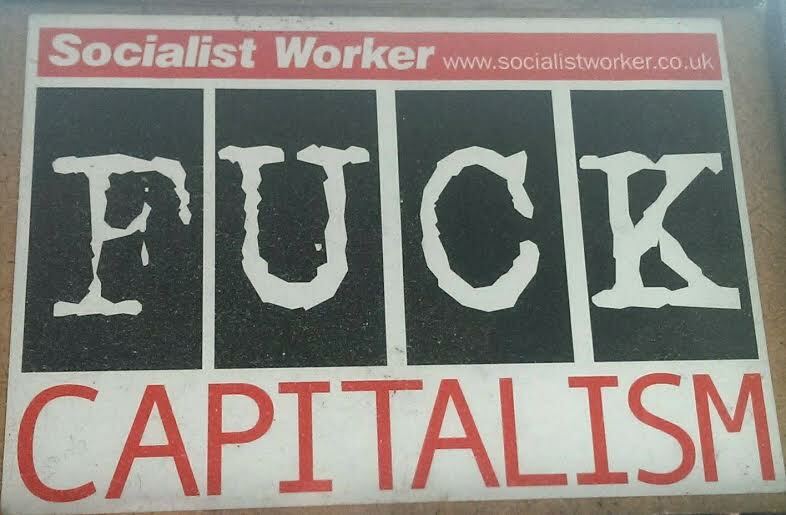 That was a singular reversion of the position that the Socialist Workers Party adopted throughout the 1970's, which was for the rank-and-file. ‘Let the rank-and-file decide,’ they said. But they had redefined the rank-and-file because they had drifted with the militants. They reflected the militant perspective, which by that time was defensive—so they merely echoed their defensiveness. I'm not saying, by the way, that the Socialist Workers Party was responsible for defeating the strike. The strike failed because of the strategy that the militant Yorkshire committee adopted and that Arthur Scargill—and, tragically, the Socialist Workers Party—echoed. The SWP's support for the defensive strategy shows the problem that the SWP had as a Cliff-ist organization: they only ever reflected the opinions of the rank-and-file or the opinions of the most militant, but they would never lead, because they felt that leadership was fundamentally an error, a problem. As they adapted to each individual mood, those moods would be reflected in the organization itself. You can see that tension in the most recent events, where there is one generation who are essentially traditional welfare socialists and there is a younger generation who are militant anti-war activists and you cannot reconcile them within the organization because they are not actually responding to the same points. The Cat Stephen’s grafitti is actually a King Mob slogan – a group distinctly at odds with the old International Socialists, never mind the SWP.